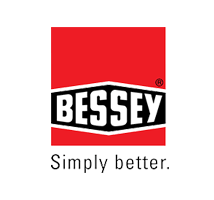 For well over 100 years, Bessey has been recognized as a world-class steel maker with products like welding and metal fabrication tools, clamps, and vises. Bessey offers incomparably innovative solutions with proven Bessey technology. Make the most of our innovative edge and accumulated experience and see for your self why Bessey is simply better.